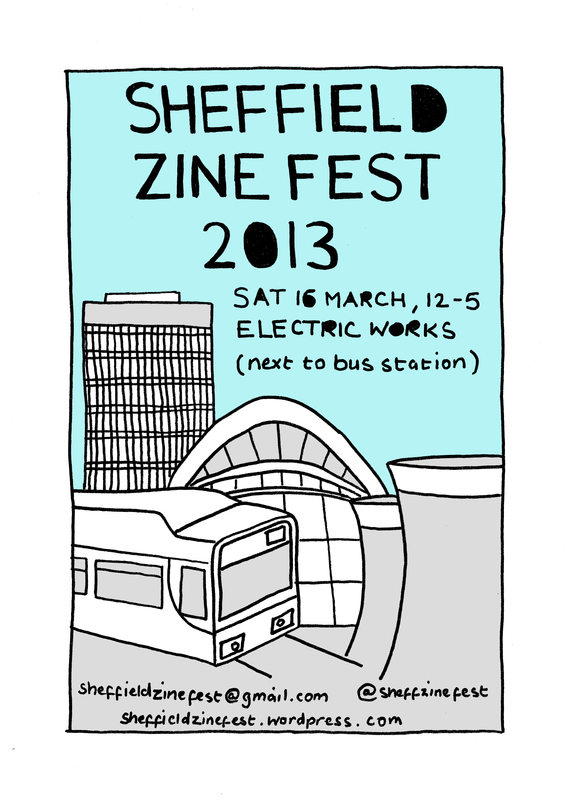 On Saturday I’m going up to Sheffield to visit my friends Chella and Sarah and also do a table/talk at the Sheffield Zine Fest. It’s from 12-5 at the Electric Works S1 2BJ. There will be around 30 different stalls, and a full schedule of free workshops, including one from my friend Cath on feminism in zines. Here’s the details of mine. Fairly basic stuff, but I’ve done it before, and people seem to really appreciate it. Have you ever wanted to make a zine but didn’t know where to start, or started making one and abandoned it for various reasons? The workshop covers tips for getting started, persevering with the project, overcoming common problems and what to do with the zine when you’ve finished it. The talk aims to be non-prescriptive, and show various different ways of approaching making a zine, and to deal with the attendees’ particular wants and needs. Questions and discussion very much encouraged. Please note that the workshop doesn’t include starting work on a zine there and then, it’s intended more as a springboard to starting your own work.